A dash of extra virgin olive oil and fresh ground spices makes this simple tomato and bottle gourd soup recipe oh-so special. 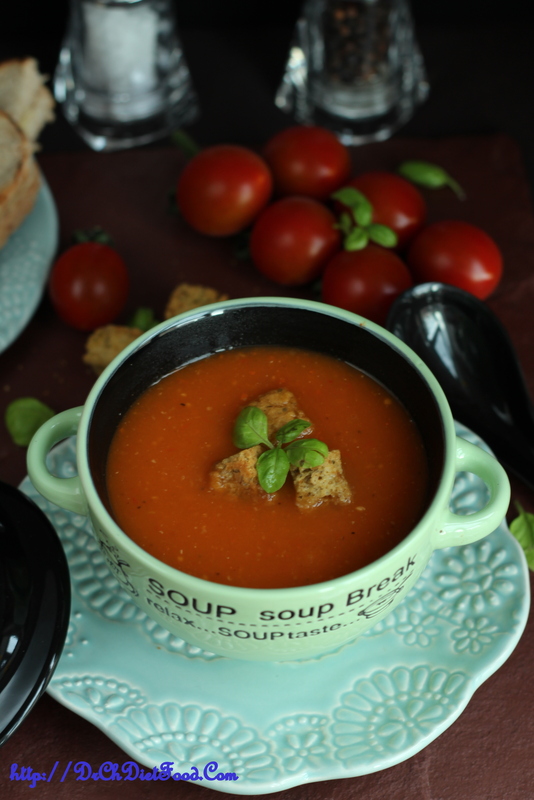 An excellent source of vitamins and minerals, tomatoes score points for healthy eating in this quick, very easy recipe for fresh tomato soup. Bottle gourd, sometimes called the white-flowered or calabash gourd, is an ancient gourd, with a delicate nutty flavor. Bottle gourd is believed to help the liver function in a balanced fashion. It reduces fatigue and keeps you fresh, especially during summer. It helps fight constipation, because of its fiber and low fat content, Ayurveda highly recommends this food for diabetic patients and young children. Tomato soup comes packed with beneficial lycopene — a red-hued nutrient that gives the soup its color. Lycopene offers powerful antioxidant protection, which means that it seeks out and neutralizes reactive oxygen species, a type of molecule linked to the aging process.